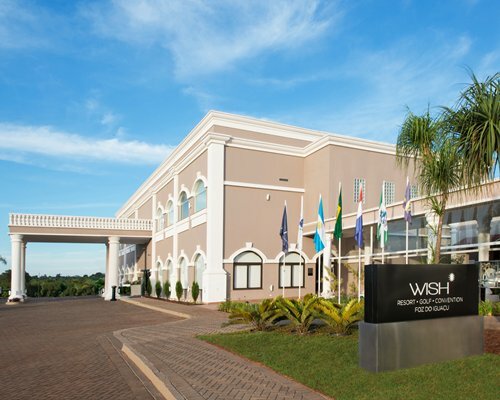 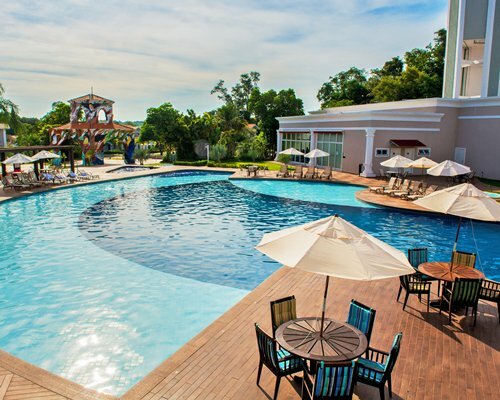 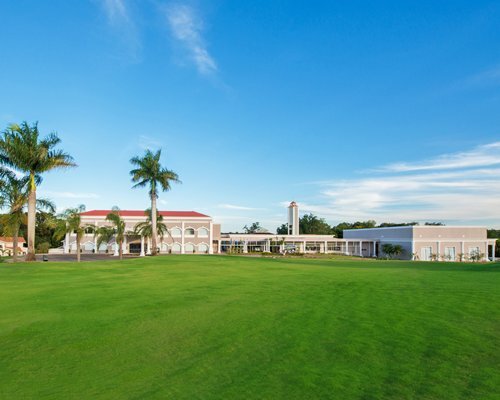 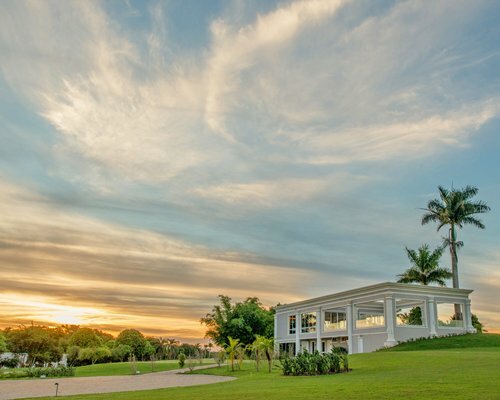 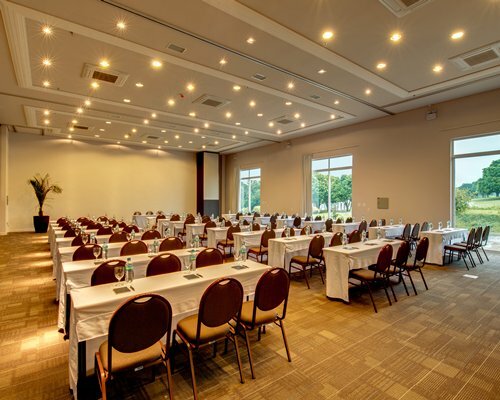 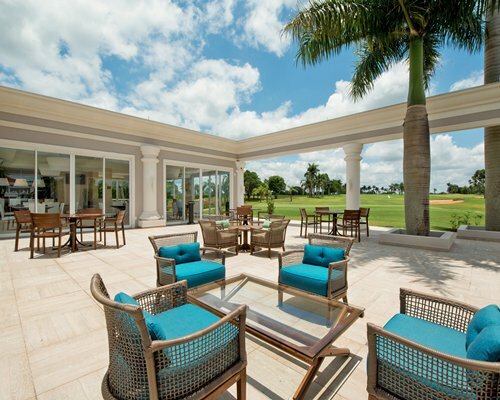 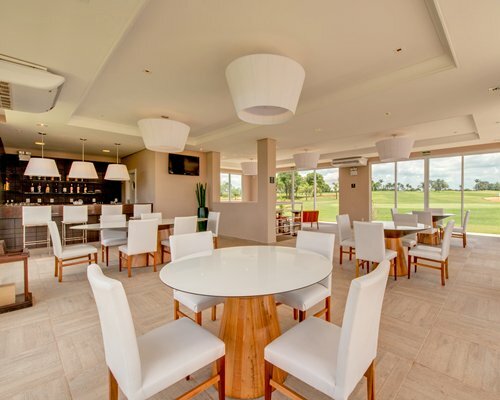 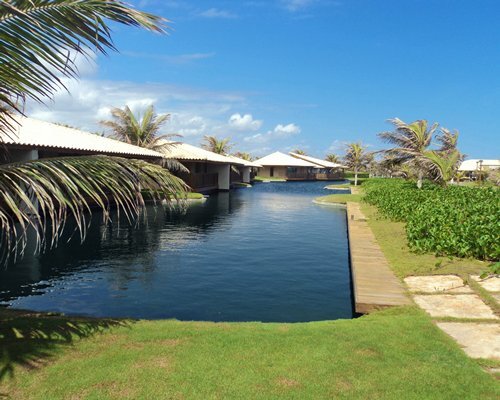 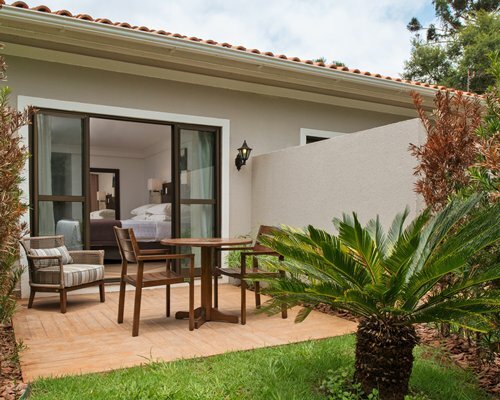 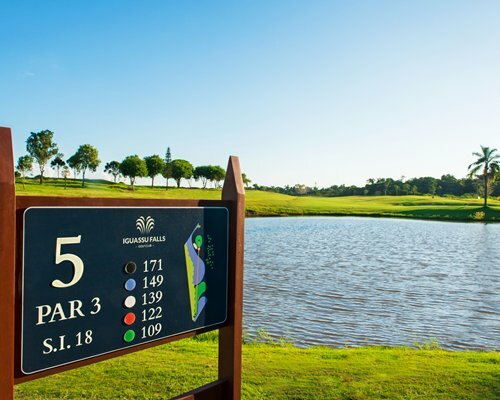 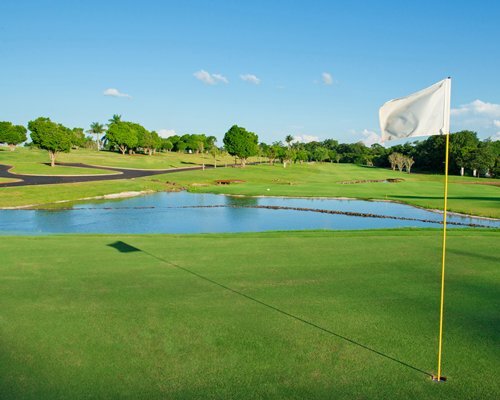 Wish Golf Resort Convention is a hotel in Foz do Iguaçu, in the far west of Paraná, 15 minutes from the international airport and 20 minutes from the Iguaçu Falls on the border between Brazil, Paraguay and Argentina. 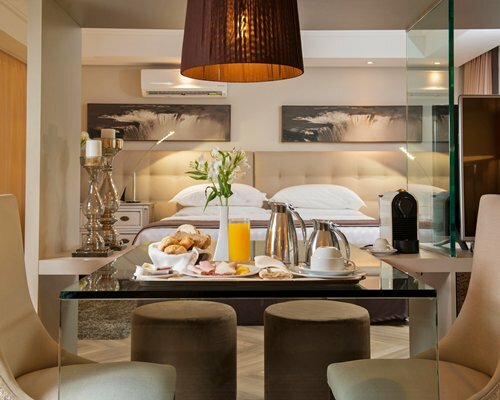 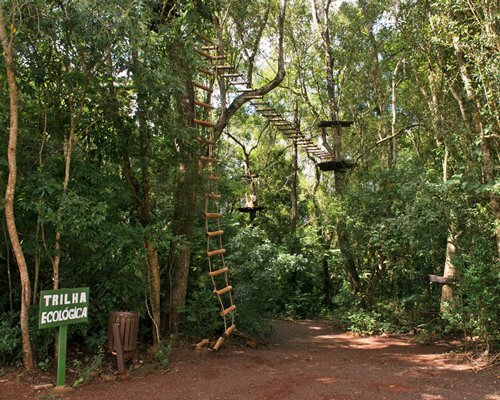 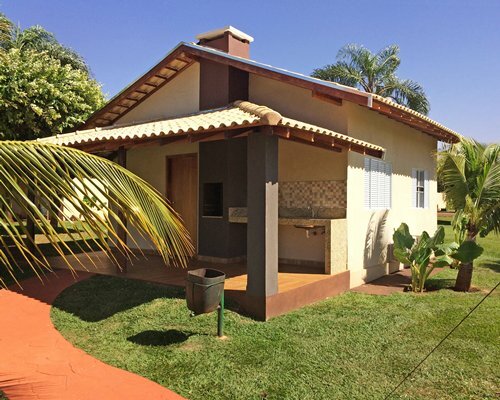 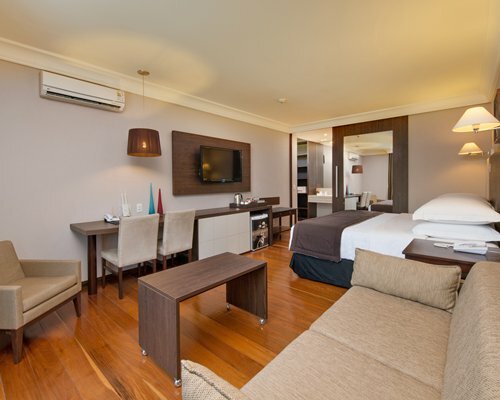 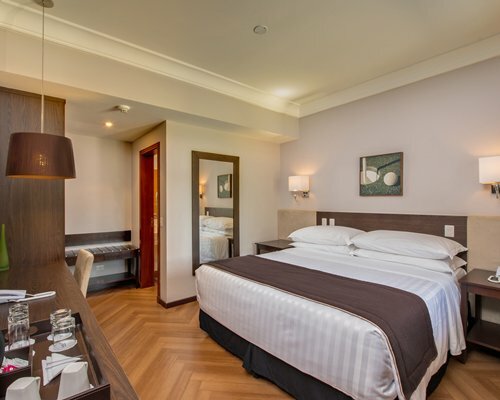 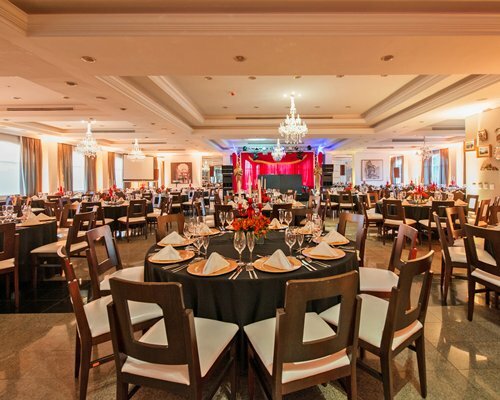 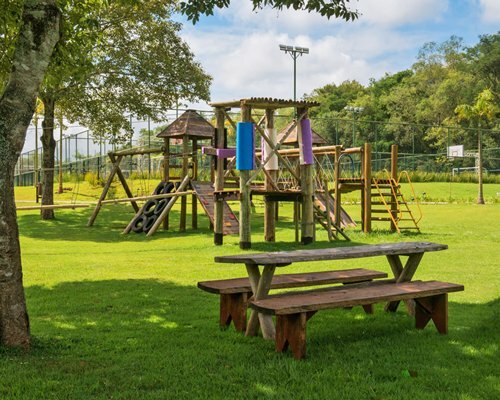 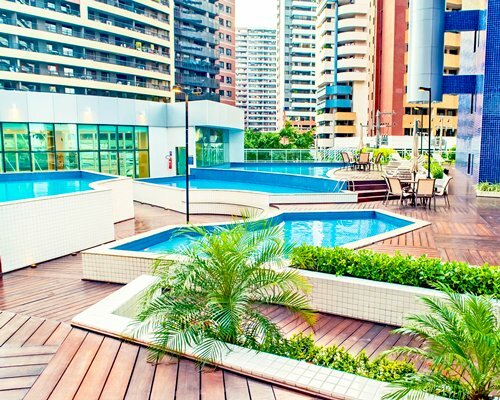 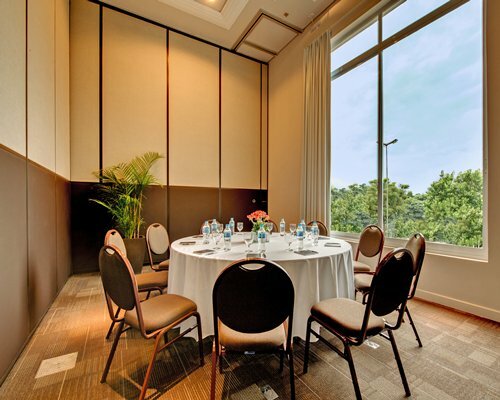 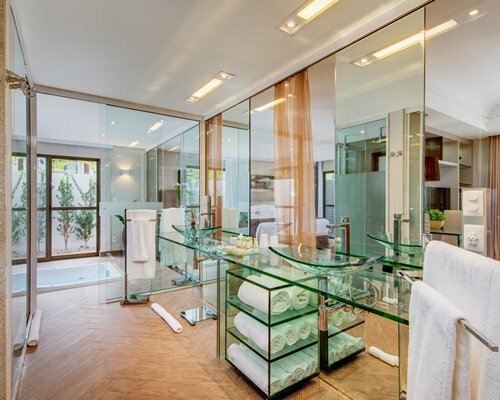 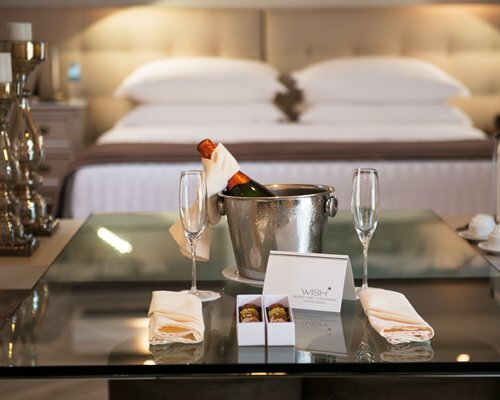 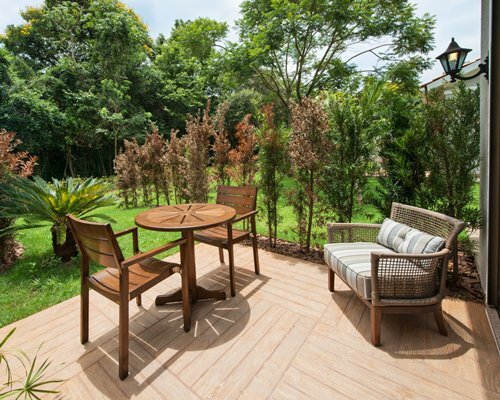 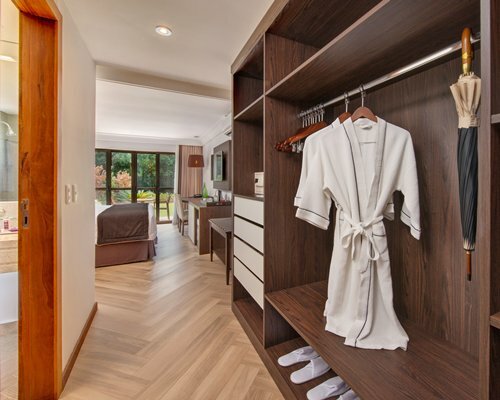 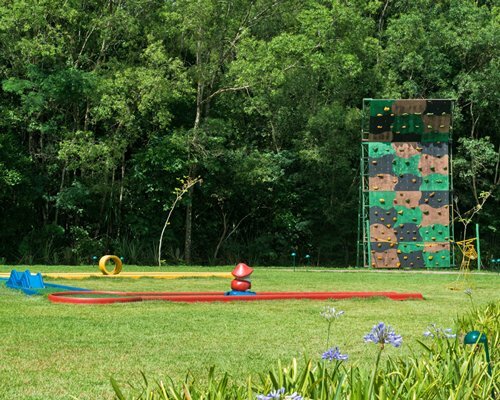 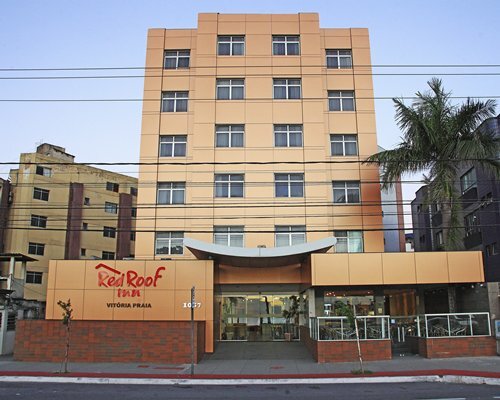 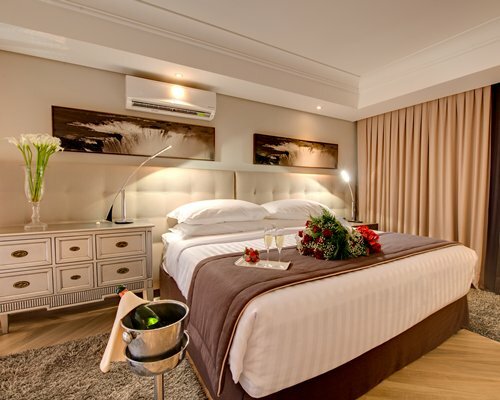 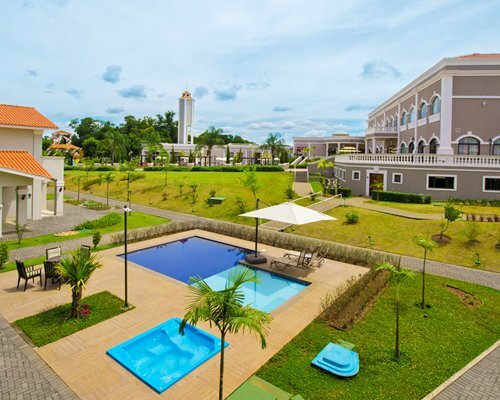 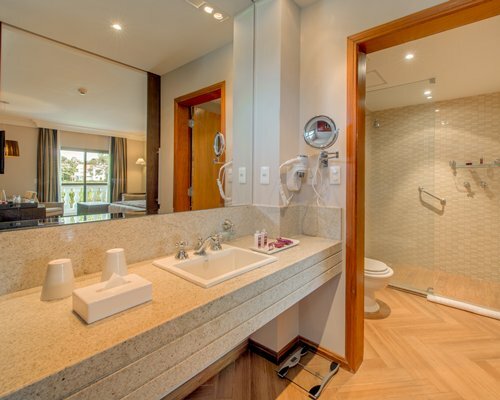 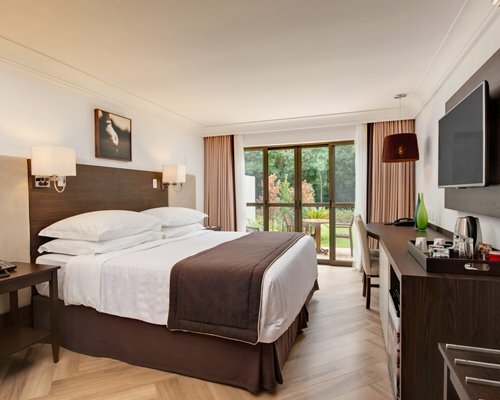 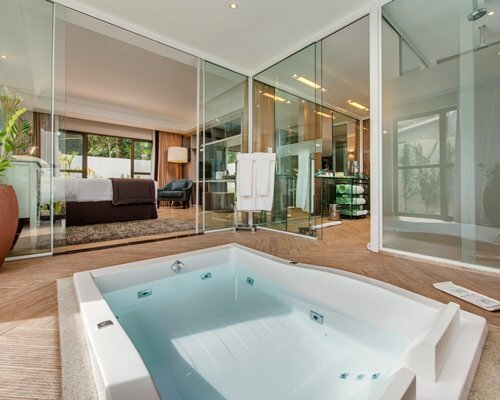 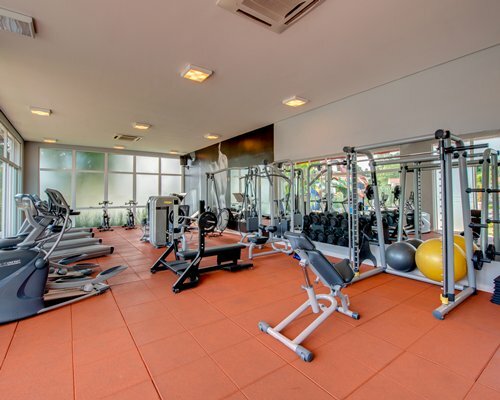 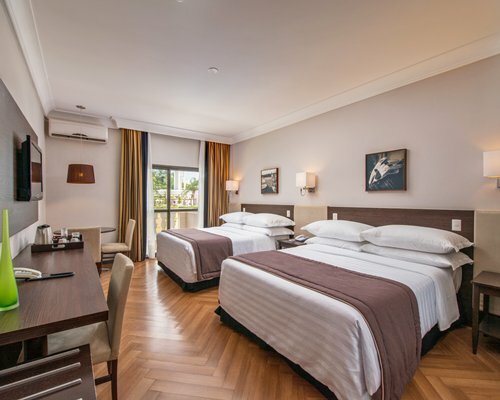 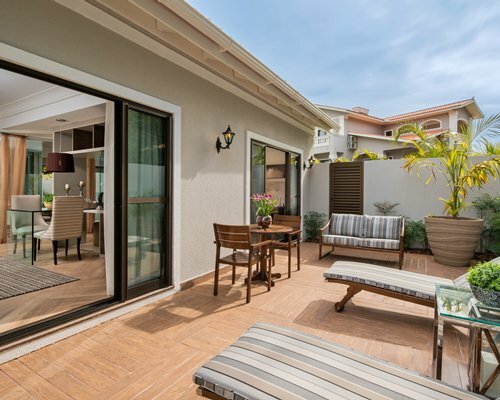 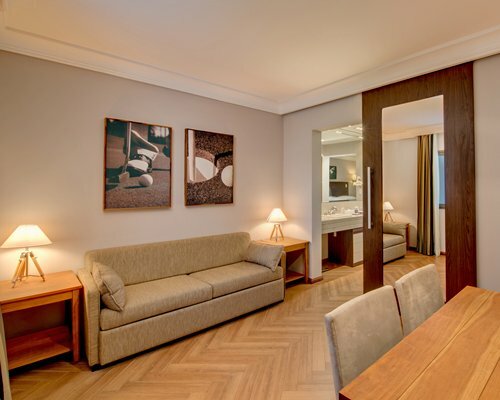 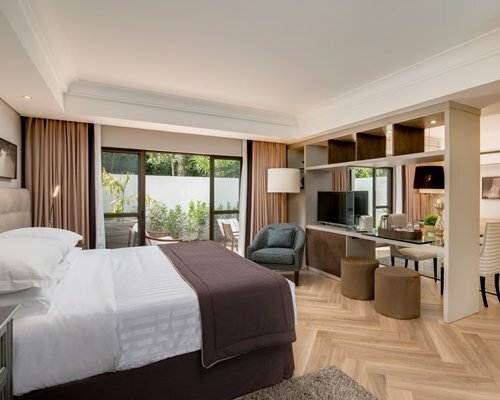 Among the hotels in Foz do Iguaçu, a complete infrastructure and the advanced level of services, aimed at the most demanding guests, making it an attraction in itself. 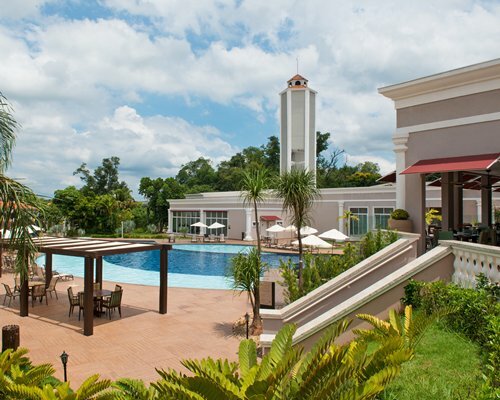 With the new brand comes a new responsibility: to be the best hotel in Foz do Iguaçu. 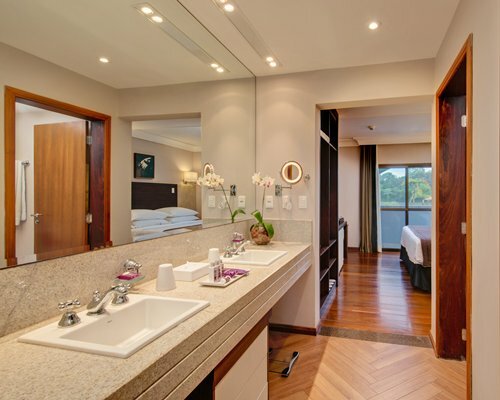 All apartments feature clock radio, hair dryers with 1.800W - ideal for long hair, mirrors with LED light 8, suitable for makeup. 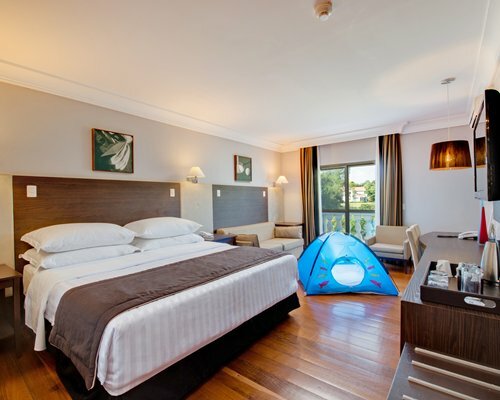 The Units Family, Famr and Suites have up to 4 people. 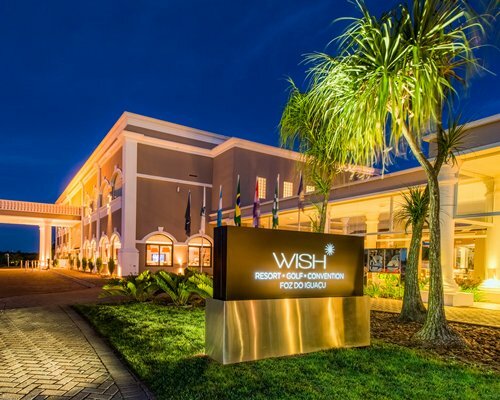 The Premiere, Wish and Superior units have capacity for 2 people.